← Day 6: When do you open presents? 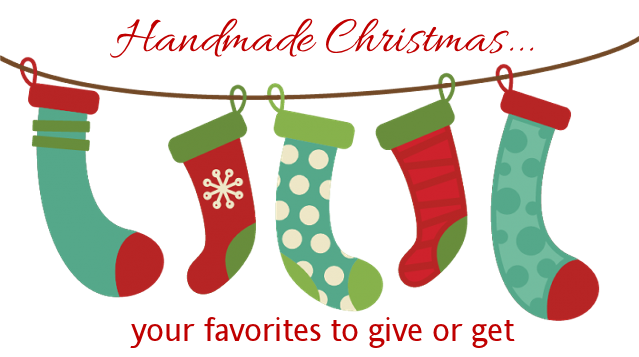 I haven’t done any handmade Christmas things in awhile. When the kids were younger we made ornaments out of Popsicle sticks, painted them and added glitter. Those are my favorites. My mom actually still has the ones that I made when I was younger hanging on her tree. It was the Christmas that I turned 12. I remember that year pretty well, because that was actually the first year I didn’t put out milk and cookies for Santa. I had known for some years that it was my dad that I was actually leaving those for, but to admit it and not actually do it that year, was somewhat sad for me. At that age, all you do is dream of growing up and being a teenager, and how great life is going to be…the life of a teenager. But here I was on the threshold of crossing over, and it wasn’t so easy to do. I went to bed with just a little less excitement and anticipation…because that was for kids. We all got up on Christmas morning and began to open our presents. I had a fairly large box, thinking that it was something small stuck inside a larger one. But as I tore off the paper, it was a box for a Beverage Brewer…oooookaaaay, this growing up thing was real. But of course it was just the box. I opened the box and saw a brownish-red furry clump of something stuffed in the box. 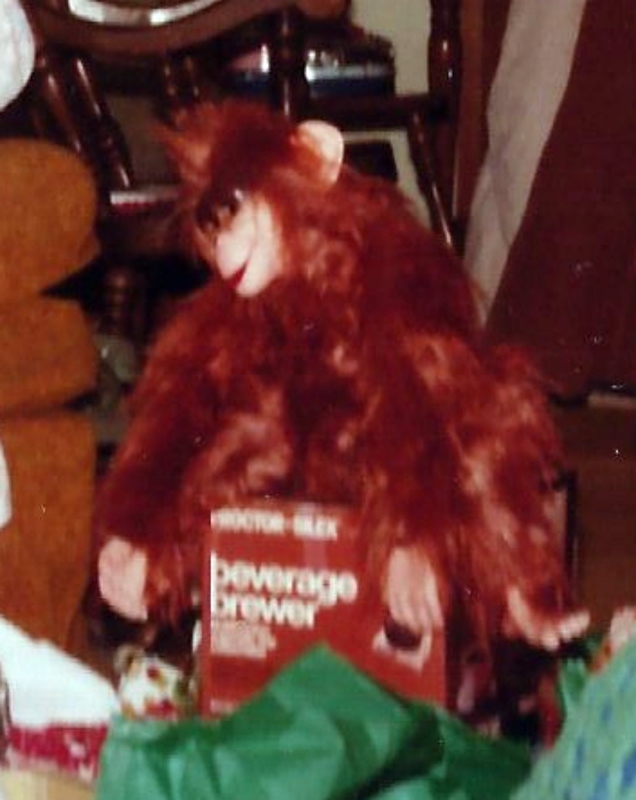 As I pulled it out, I could see that it was a stuffed chimp, and someone told me that my mom had actually made it. It was the most unexpected gift, and the coolest, cutest thing I ever saw. Then my mom went on to tell me how she worked on it whenever she could in the dinette on the table that we ate on every night. So she had to clean it up after she was done, and the red fur got everywhere. That explained the night that I was complaining, because I found a red hair on my plate, and I blamed it on my brother (who has red hair). Of course everyone else knew about the chimp. This made it even more special to me, because I knew how busy my mom was, working, driving us everywhere, and preparing for Christmas. As I looked at that chimp, I realized growing up might not be so bad, and that I had plenty of time to do it. That was fun to make…but yes the RED fur was everywhere.